so what are you waiting for? Get into our Mailing List! Human Infrastructure, Talent, Human Capital, Resources, Labor are just some of the names used to describe employees of a company. Most organizations have a way of obtaining talent or Talent Acquisition as it is called in most circles. I feel the process of Talent Acquisition for many organizations is broken and here is why. Too many recruiters are trying to match a job description with someone that has done the exact job before. Hey look I can understand how that sounds like it makes sense. If I am hiring for a windows XP migration project, I would like someone that has done it before, right? Well I'm here to challenge that thought process and here is why. Shouldn't it be the best person to do the job? Shouldn't it be more than just a person who has done the exact job before? A google search or a plethora of IT Consultancies could outline how you would migrate off of XP. Wouldn't it make more sense to give the project manager position to someone that has a pedigree for delivering projects successfully rather than one that is pigeonholed into Windows XP migration projects? This is why I like to hire staff based off of aptitude and ability to learn things quickly. In the example I have been using for a Windows XP migration project, I would probably hire a Project Manager that has a history of delivering different projects successfully. That during the interview process, the Project Manager showed he/she has the ability to pick up the intricacies of the organization and our processes/procedures. Even if the PM didn't manage an XP migration project or a similar project as long as I can determine that the PM has the ability to deliver projects successfully and integrate with our organizational culture I would hire that PM. In future blog posts I will write about Talent Development & Talent Retention and tie them back to this blog post. 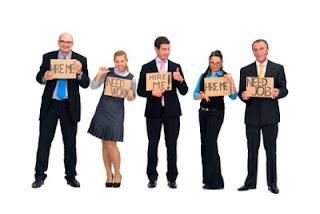 Let me know in the comments what your or your organizations hiring/talent acquisition style is. © Will Lassalle. Powered by Blogger.